"Christopher has really hit the ball out of the park with his new CD! I have listened to it 3 times so far and get something wonderful every time through! Christopher provides you with the most profound and simple ways to heal yourself and others. While listening to his beautiful voice, you will be transported to a world where everyone can leave pain behind and truly heal. Simply wonderful! I cannot say enough good about the man and his work! "I just finished listening to your new CD and you are so very inspiring, uplifting and full of enlightenment. We are on a mission to heal and you help us bring that forth." - "This project is Christopher's most successful attempt at keeping his already secured renowned status as one of the world's leading, most accessible, intelligent and gifted psychic mediums and spiritual advisors. In this CD, Reburn gives his public a peek into his abilities and techniques that have made Reburn a very successful psychic in his twenty-year-plus career. He shines during this CD and showcases a warmth that is genuine, comforting and rare. This is a treasured and amazing accomplishment by Reburn." - "About 5 minutes into your new CD, I felt almost like I was having a wide awake turbo Out of Body Experience and the energy I felt inside was in the 'wow' category. Everything you were talking about seemed to be validated by this energy. When you talked about healing the man who had stood up and validated what you had told him the first time, the energy increased and when you said he was to pass the healing energy on, a couple tears ran down my cheek... and when you mentioned how he had started crying it caused the weirdest feeling - the energy inside me started vibrating; validating on a soul level everything I 'knew' to be true. Will be playing again over the weekend". "This CD I received yesterday in the mail, and let me tell you it is AWESOME!!!!!! I want to thank you Chris from the bottom of my heart, and am so grateful to you for everything that you do for everyone and that you are here on this plane to assist us and be a friend to us"
"Christopher's first-ever CD is more than meets the eye, or in this case the ear. If his debut CD paves the way for his future book projects, flawless perfection is what's to be expected. It's Reburn's own self-confidence that shines as he speaks about spirituality topics and even his own shocking predictions. His spoken-word CD offers great advice, excellent insights on how to be more spiritual and psychic, and even how to laugh and keep a chuckle in your daily diet - 5 STARS"
The best CD I've ever purchased. Christopher goes much deeper and further into subjects than other psychics (John Edward, Sylvia Browne) do and offers his own insight and guidance to make us all feel a lot better and not to fear the future. It was a joy to hear him speak vividly about his own childhood, Angels, Dreams and how to put ourselves back on the list and live life free of negativity. If you haven't ordered this CD yet, do it now and you'll be glad you did"
ThePsychicSpirit@aol.com and we'll be happy to answer all of your questions! Have you purchased and enjoyed one of Christopher's CD's? Now is your chance to review the CD! Christopher would love to hear from you on how the CD has helped you! Email Christopher at ThePsychicSpirit@aol.com and let him know! ALL CD's ARE AUTOGRAPHED & BLESSED BY CHRISTOPHER! Release Date: July 2015 Price: $25 Autographed & FREE SHIPPING! You've requested it, and it's finally here! Listen as Christopher explores the world of Mediumship, and how you can activate and strengthen the inner medium within you! Christopher details and shares his own proven methods of communicating with the Spirit World, what to do before you connect, what to do after you connect, and how to give readings and messages from The Other Side with valuable exercises that are geared toward defining and strengthening your Mediumship ability. This Master Class CD is good for beginners as well as currently active Mediumship practitioners and those looking to refresh and strengthen their gifts and abilities! Release Date: October 2014 Price: $25 Autographed & FREE SHIPPING! Christopher’s first-ever ‘class on a CD’! 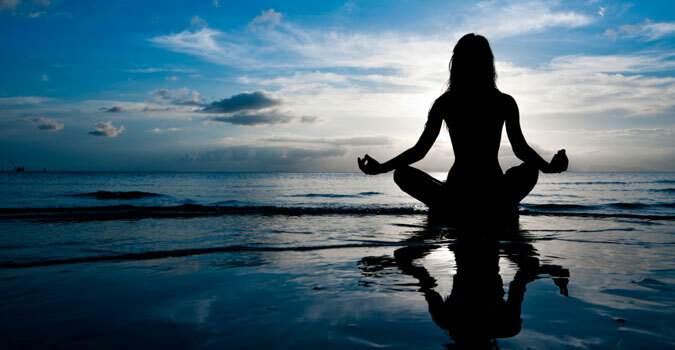 Learn how to meditate with Christopher’s proven methods. This CD explains how, when and where to meditate. It includes a powerful spiritual meditation geared to help you increase your spiritual strength, gifts, awareness and connection to The Other Side. It also contains a meditation that will help you in releasing fear, insecurities and burdens that may be affecting your daily life. Have you ever had a dream in which you were visited by a loved one in Heaven? Do you remember those sentimental dreams when you've connected with a loved one on The Other Side for conversation, healing, guidance and direction? These are all moments of out of body astral projections that we often remember in the form of dreams. Listen as Christopher explores the topic of astral projection, how often we go out of body to visit our loved ones and pets on The Other Side, and how you can keep track of all your astral projections and spirit reunions with loved ones in Heaven! This CD is filled with information on all of the above questions, topics and more, plus it offers a meditation geared to help you with astral projecting with those you love the most on The Other Side! We meet so many people during the journey of life. Many of these people are not members of our biological family, but soon they become members of our logical family. These are those special true and honest friends we meet along the way that makes the journey of life worthwhile. Christopher explains how to connect with members of your soul family, how to identify these special souls, the benefits of being part of a soul family, how members of our soul family reunite together on The Other Side, and so much more! Release Date: April 2014 Price: $16.95 Autographed & FREE SHIPPING! A Lightworker's Journey chronicles the joys and challenges of being a lightworker in one of Christopher’s most powerful & profound CD's to date! Christopher starts from the very beginning of a lightworker's journey and takes you through the life of a lightworker all the way to completing the journey and crossing over. This CD explores topics significant to all lightworkers, including the topics like Identifying Your Gifts & Life Purpose, Utilizing Your Gifts to Help Others, The Joys, Pressures & Challenges of being a Lightworker, Completing Your Lightworker's Journey & Going Home to God and more! Release Date: September 2013 Price: $16.95 Autographed & FREE SHIPPING! This CD explores virtually all topics related to soulmates including such topics as getting through difficult relationships, preparing yourself for love, starting over again, attracting love in your life, finding your soulmate, identifying your soulmate. past lives with current soulmates, how our Guides & Angels play 'matchmaker' to get us together with our soulmate, losing your soulmate, soulmates together on The Other Side and more! Whether you've already met your soulmate or if you're still searching, Soulmates: The Spiritual Gift of Love educates you on the process before, during and after! Release Date: November 2012 Price: $16.95 Autographed & FREE SHIPPING! Ever wonder what our loved ones are doing during the holidays? Do they celebrate the holidays? Do they come to visit us as we gather together with family to welcome the season? All these questions and more are answered! Holidays in Heaven, a very special holiday CD dedicated to his beloved Grandfather, join Christopher as he explores The Other Side during one of the most spiritual & festive seasons of the year -- Thanksgiving & Christmas. This CD includes a exercise on how you can connect with loved ones on The Other Side as well as a healing meditation for those who have lost loved ones during the holidays. This CD explores virtually all topics related to one of the most fascinating spiritual topics of all -- past lives. Listen as Christopher shares his insights and extensive knowledge on past lives, including such topics as understanding past lives, difficult past life relationships, how to let go of negative past life energy, past lives during important times in history, past life soulmates, calling on strength of past lives and so much more. This CD also includes a powerful exercise which will help you to connect and explore some of your own past lives to help you gain more insight & knowledge into your current life. Release Date: July 2009 Price: $16.95 Autographed & FREE SHIPPING! Psychic Children: A Guide In Helping The Young & Gifted is geared toward parents, families and friends who have psychic and spiritually gifted children and younger adults in their life and spiritual circle of Light who have been blessed with beautiful gifts from above. Christopher recounts some of his very first memories and experiences with his own gifts growing up -- some of which he's never spoke of until now -- and offers practical ways in helping and guiding the young and gifted, as well as highlighting some ways and exercises that can help awaken and manifest psychic and healing ability in children and young adults. Release Date: August 2008 Price: $16.95 Autographed & FREE SHIPPING! This very special CD details Christopher's extensive background and knowledge into healing, healing techniques and personal stories of healings that will warm your heart and awaken abilities within your own Spirit. Christopher shares simple exercises on how you can heal yourself, your loved ones and even your precious animals and beloved pets! This CD will also include a bonus healing meditation that will help to continuously steer you forward on your positive spiritual journey of enlightenment as well as strengthen your own healing abilities in the process. Release Date: October 2007 Price: $16.95 Autographed & FREE SHIPPING! This CD will take you deep into the highest spiritual destination and holiest realm that we know, The Other Side. In this CD, Christopher details the entire 'crossing over' process, how we know when we are about to cross over, how we can effortlessly communicate with our loved ones and pets on The Other Side and our work for God on The Other Side. Whether it be working with children, cancer patients, healing families, teaching and educating others or training to become a Spirit Guide, we all have a job to do once we go Home and Christopher gives you a rare glimpse into these jobs and duties in this fan favorite CD. Also includes a very powerful, spiritual meditation that can help you go out of your body and experience The Other Side like never before. Release Date: May 2007 Price: $16.95 Autographed & FREE SHIPPING! This CD will help guide you into your dreams and transport you to The Other Side where you'll easily be able to recall past lives, and communicate with lost loved ones and pets on The Other Side. Prepare for an Out of Body Experience as this cutting edge CD includes over two decades of Christopher’s own dream research and experiences. Chris will provide detailed instructions on Astral Travel & Projection! He’ll will also show you how you can remember your dreams. So many of us never got to say goodbye to a loved one or pet and through Dreams and Astral Projection, we can, and this CD will show you how! All sales are final. There are no refunds or exchanges. All orders are shipped out first class mail within 48 hours. No gift certificates, coupons or member discounts may be used towards pre-orders or new releases during the first six months of release. Thanks and blessings!